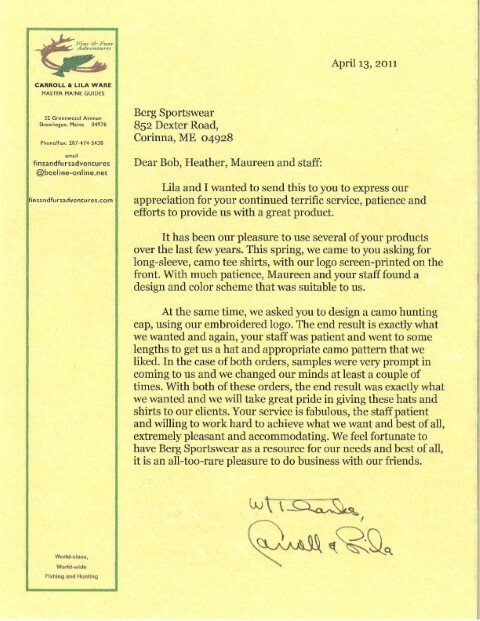 Here at Berg Activewear, customer satisfaction is our #1 priority, and we're always glad to hear back from our customers. 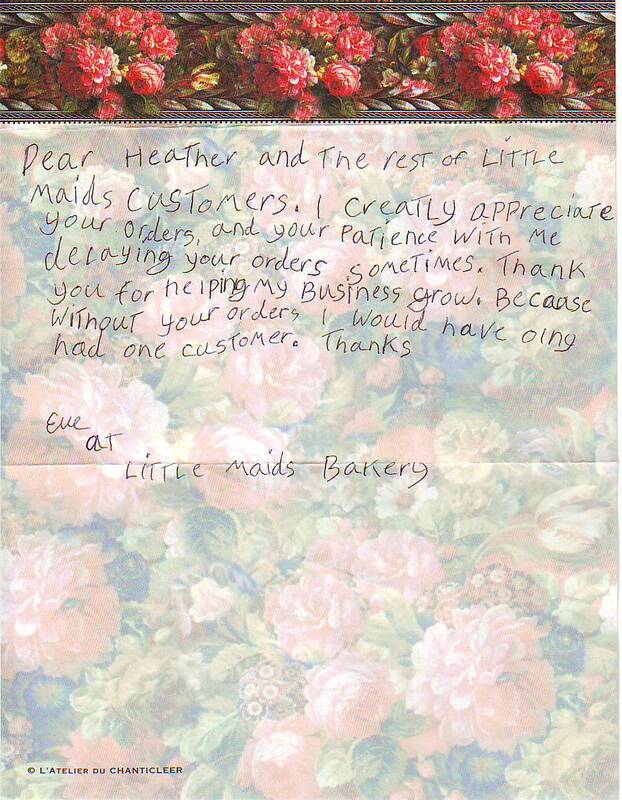 Below you will find testimonials from some of our customers. 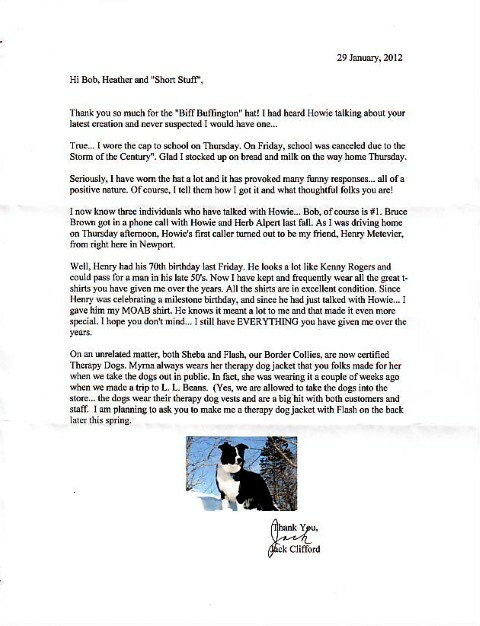 A Thank-You from Deborah Foulkes for sending her dad A Trump T and A Trump Hat! 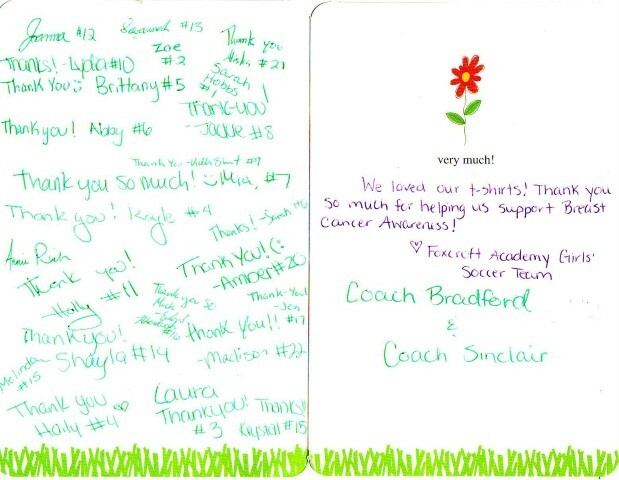 The warmup suits for Maranacook girls soccer look wonderful! Thank you for such a great suit! The girls love them and they have looked amazing stepping out onto the field all adorned in their suits! Thanks for working with us on this! We really appreciate all you have done for us! 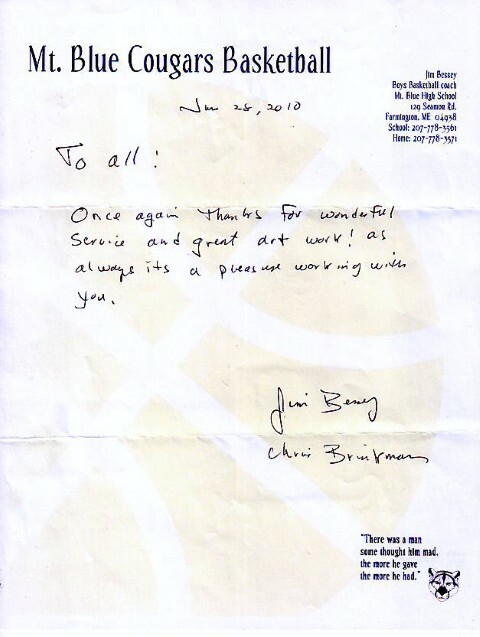 I want to say a huge THANK YOU to all of you at Berg. Another awesome T shirt. We are so pleased with the way they came out, can't wait to give them away to our members. We are using them for our Member Appreciation Days July 29th and 30th. I apologize for not getting back to you sooner, but I wanted to let you know how happy I am with the 10th anniversary tee's you did for Bisson's Center Store. I get comments from people where ever I go. We passed out the first batch, and I will be reordering more soon. Bob and Heather, a big "thumbs up" to you and your employees. 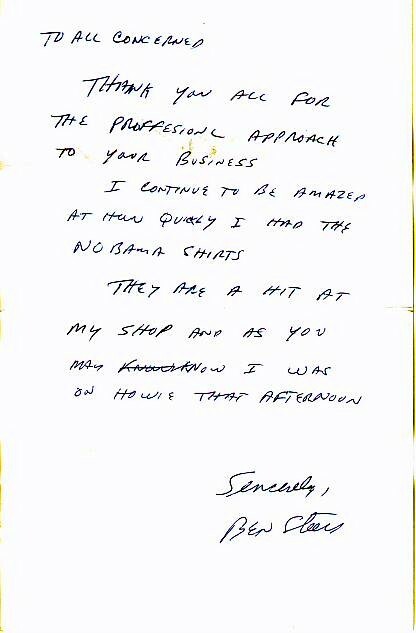 I always get great service, but never took the time to compliment you. I also want to thank you for the hooded sweatshirt you threw in for free. Very nice! Thanks for a great product, quality graphics, and personal service. THANK YOU,THANK YOU ,THANK YOU!!!!!! The shirts arrived today and I love them!! 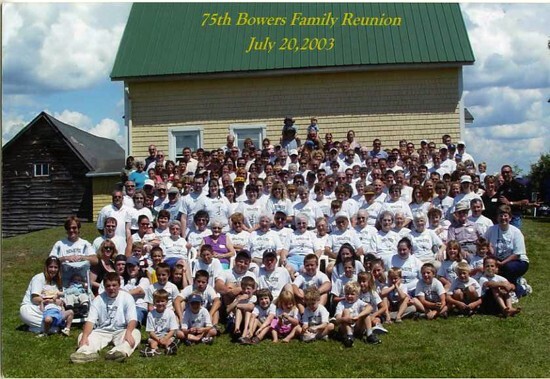 The Bowers Family attending a reunion wearing T-Shirts made by Berg Sportswear! Thanks for sending just what we ordered, and in really good time. Everything looks great, and I''ve been able to process it in the time I have, before heading out of town. We will order some more Georgetown Store shirts, especially hoodies, very soon. 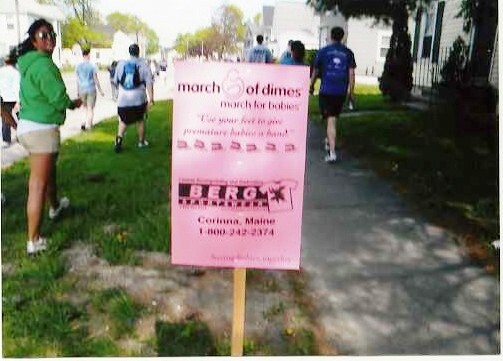 Since 1991 Paula Peirce has walked to raise money for the March Of Dimes to benefit children. Each year the amount of money she raises increases. 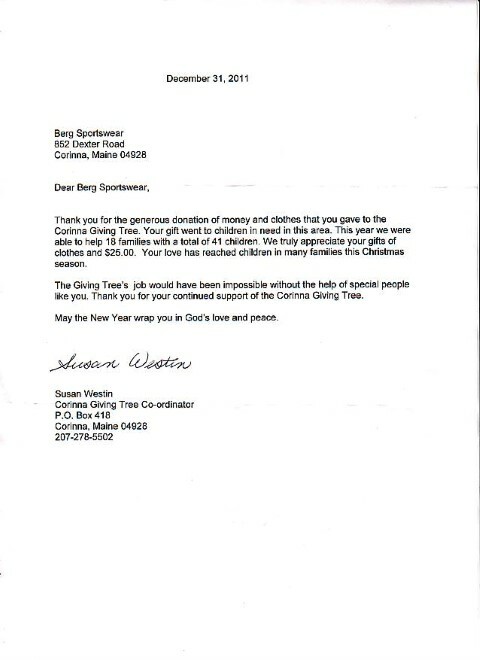 This year her grand total raised was $3700.00! Just wanted to let you know I received the sweathshirts and I love them. Thanks so much I really appreciate it. This is why I keep coming back AWESOME!! 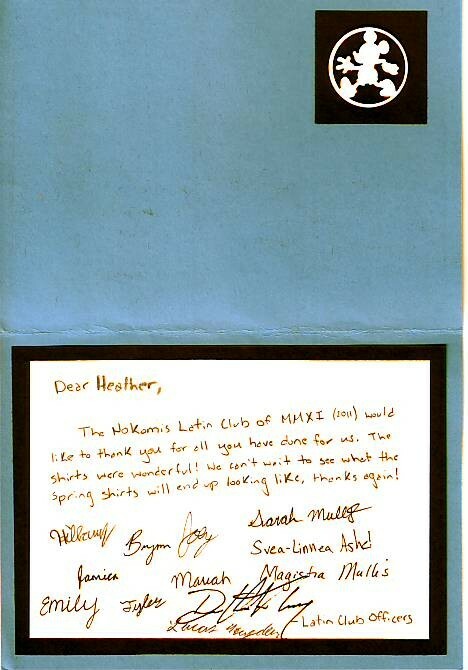 Just wanted you to know that I thought the sweatshirts were terrific – thank so much. Without a doubt, we plan to run another sweatshirt sale at the beginning of next school year. 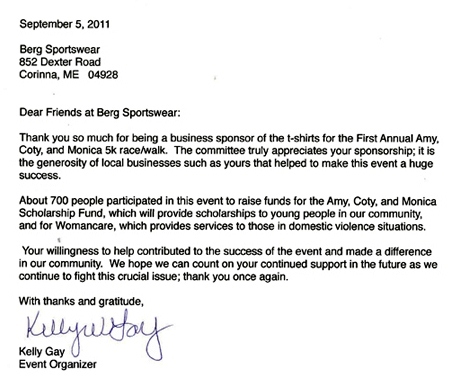 I’m really pleased with Berg Sportswear and your service was exemplary. I just spoke with someone at Chelsea School and confirmed that the “check’s in the mail.” Actually, it’s not, but the check has been cut and is supposed to be placed in tomorrow’s mail. On another note – I may be interested in placing some orders for T-shirts, hats, or sweatshirts or something for my business. What is the minimum order for items? 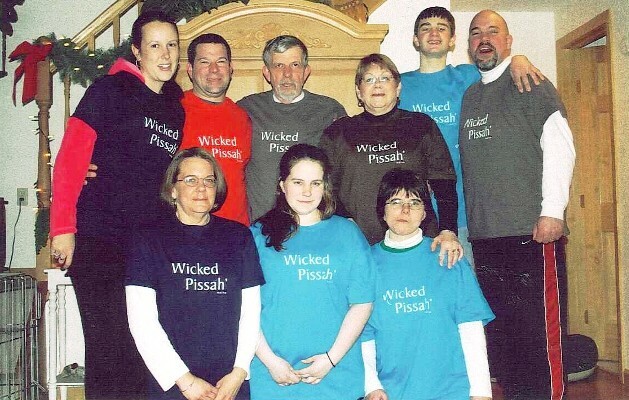 Customers from Melby's Market in Waterford Maine wearing Berg Sportswear's "Wicked Pissah" t-shirts! Thanksgiving deliveries, with much help from our good friends at Togus VA.
retirement is done. When I told you we were 'fine', I was too embarassed to say we are really hurting. 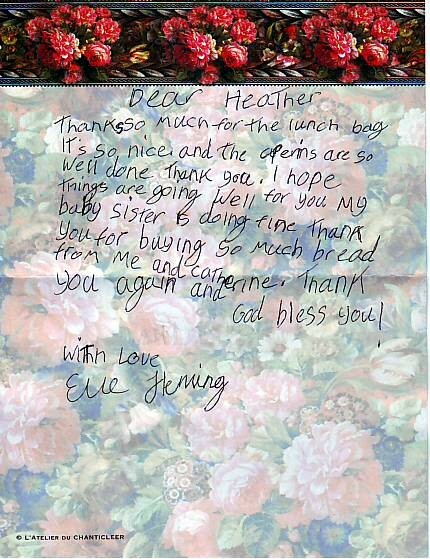 of patients per day, but you do such a great job and have an impact on peoples lives that is immeasurable. Thank you all again and God bless." Thank you all of you who continue to make it possible for us to serve our wounded. "They have given everything and ask for nothing." very very pleased and they really like them. This shirt looks stunningly gorgeous and just what the festival is looking for - Thanks so so much! I love it! Thanks for your help in all our efforts. You do great work, and we so appreciate your precision and speed. Hope you all have very good holidays, give yourselves a break, and hope 2011 is a good year.